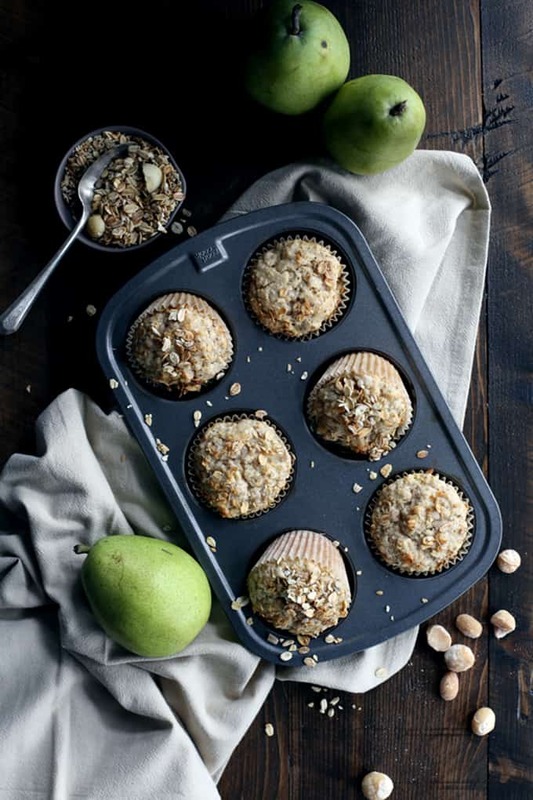 Grab a bowl and a spoon, that’s all you need to mix up these Pear Macadamia Oatmeal Muffins. Just ten minutes of prep – the majority is peeling and dicing a pear! – and seven ingredients later and you’ll find yourself sliding a muffin tin full of batter into the oven. The idea for these muffins started back at the beginning of December. December. You know, like almost three months ago? I had every intention of testing this Pear Macadamia Oatmeal Muffins long before now, but then life got in the way as it tends to do. For some reason, a trip to Colorado to look for a house and three weeks of intense work getting our house in tip top shape to sell took precedence over muffin making. Go figure. But now that we’ve bought one house and sold another, it’s all about the muffins! These muffins are the mashup of my Homemade Oatmeal Muffin Mix (which technically is my mother-in-law’s recipe) and a ginger pear macadamia muesli that I tried while on a trip to Minnesota. This is the same muffin mix that’s also the star of my Oatmeal Chocolate Chip Muffins and Cherry Almond Oatmeal Muffins. 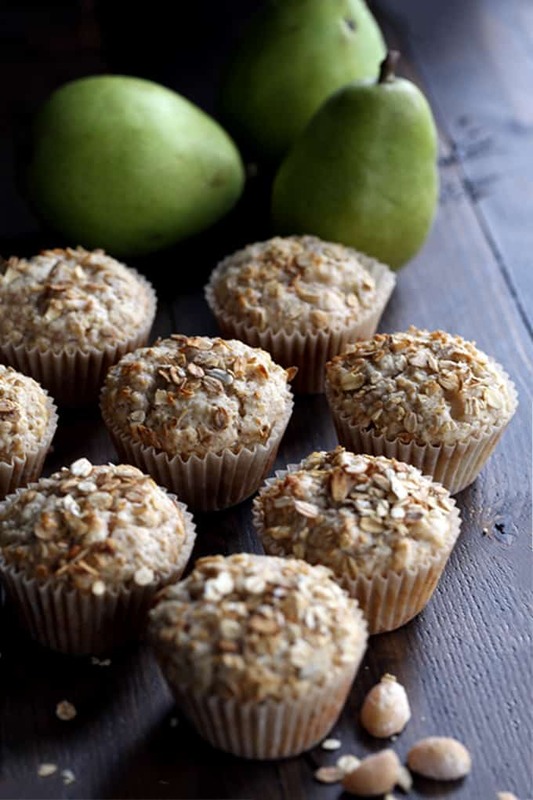 Grab a bowl and a spoon, that’s all you need to mix up these Pear Macadamia Oatmeal Muffins. Just ten minutes of prep – the majority is peeling and dicing a pear! – and you’ll be sliding a muffin tin full of batter into the oven. Then you’ll find yourself eagerly watching the timer count down the minutes until you can enjoy breakfast. I’m kicking myself for not thinking of this pear, macadamia, oatmeal combination before! 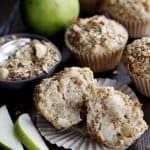 Grab a bowl and a wooden spoon, that’s all you need to mix up these Pear Macadamia Oatmeal Muffins. Just ten minutes of prep – the majority is peeling and dicing a pear! – and seven ingredients later and you’ll find yourself sliding a muffin tin full of batter into the oven. Stir in cinnamon, milk, egg, nuts and pear until just combined. Sprinkle the tops of batter with muesli, if desired. Allow to cool in muffin tin 2-3 minutes before removing to cooling rack to cool completely. Looking for more ways to include oatmeal in your breakfast? This Blueberry Baked Oatmeal, Peanut Butter Chocolate Chip Oatmeal Energy Bites and DIY Freezer Oatmeal Cups will have you getting out of bed and to the table quickly! How fun to these look! Mmmm this look so yummy! What a great combination with the pear and macadamias, they would be great for an afternoon snack with a cup of tea. ? I actually gasped at that first picture. SO gorgeous! 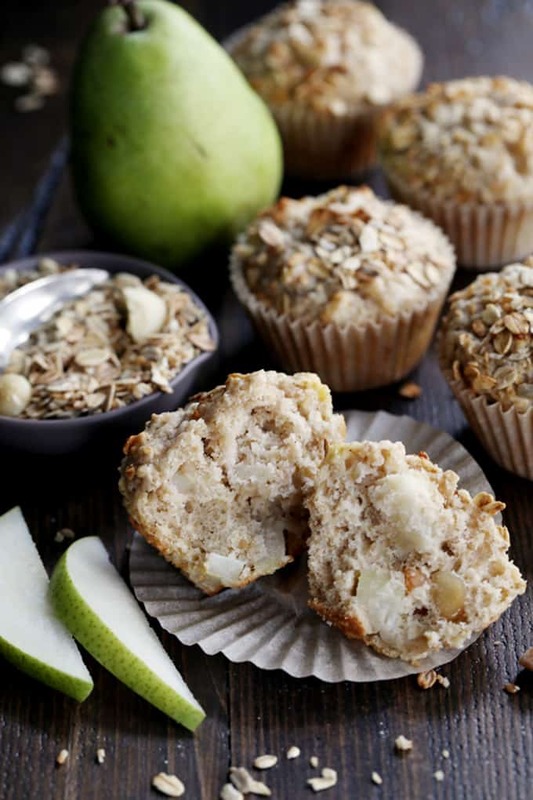 And these muffins look so delicious, especially with the macadamia nuts! You totally made my day, Erin - thank you so much! I love when I discover a company I love provides such fab customer service! These are gorgeous muffins that sound fabulous! I never use macadamia nuts, but they sound great for this recipe! Thanks so much, Patricia! I'm with you, love companies with great customer service! Macadamia nuts are one of my all time favorites and you hardly ever see it used in a muffin, love the idea. I also love pears. I would imagine these muffins wouldn't last longer than lunch time at my house. They didn't last long here either, Michelle! These look amazing! 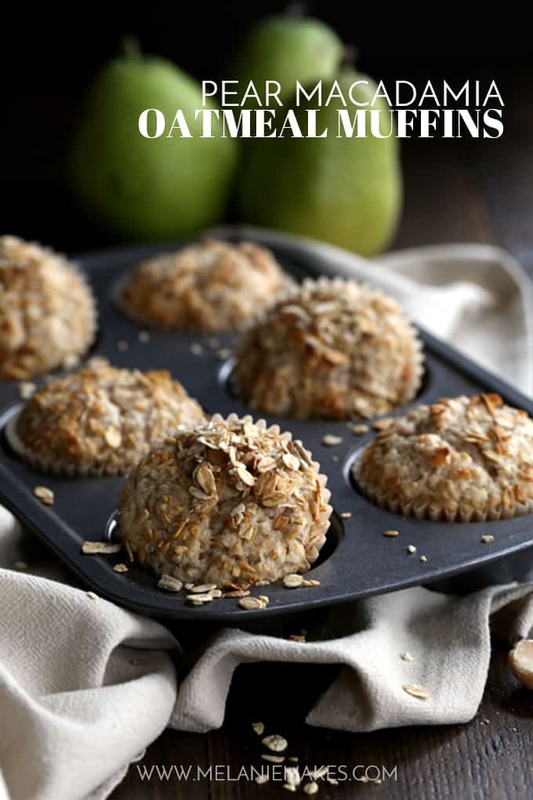 I love pear muffins, and I so want to try your homemade oatmeal muffin mix!! Let me know if you do, Kate - I think you'd like it! You don't understand how much I love these! Pears are a favourite of mine, along with macadamias (I just need to get over their price!) Sometimes I am happy my daughter does not care for pears... More muffins for me! 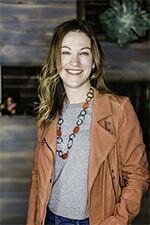 I'm the same way with the price, Kacey - but these are definitely worth it! Macadamias are my favorite! These muffins sound fantastic! Thanks so much, Anna - I bet you'd love these! You are the sweetest, Justine - thank you!